Over 25 years ago, Dave Davlin began bringing smiles to faces with a form of entertainment he developed as a young boy. From NBA and major college arenas across America to the Summer Olympic Games in Seoul, South Korea— and even to the world-famous Branson Strip— “Travelin” Davlin has entertained people of every age and background. 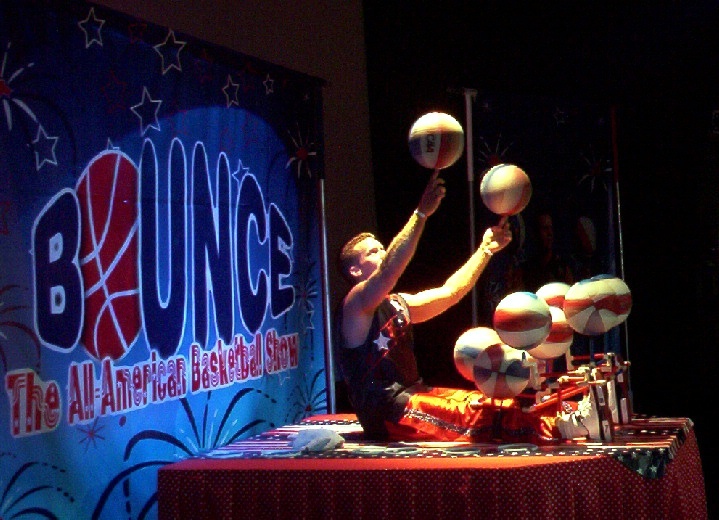 His amazing ability with basketballs even landed his name and picture in the 1990 Guinness Book of World Records. Dave began to hone his speaking skills in the early 90’s as a national speaker in the public schools across America. Combining his entertainment ability with a powerful message, he was instrumental in the fight for education and against drugs. At the advice of friends working in corporate America, Dave began to develop presentations for the corporate and association market and the rest is history. He now speaks at numerous corporate and association conferences each year. From public school students to CEOs, Dave’s message has made a difference in the lives of thousands, and his impact continues to grow each year as he shares his philosophy and wisdom through speaking and writing.